WE HAVE TEMPORARILY RELOCATED OUR OFFICE TO 31 E BUTLER AVE - REAR ENTRANCE. As you may have heard, the building adjacent to us experienced a serious fire on Wednesday, February 27. Although we had no fire or water damage, we did suffer significant smoke damage. As a result, we have temporarily relocated our office to 31 E Butler Ave - Rear Entrance. The building is located at the corner of Butler and Spring Garden St., and is a 1 minute walk from our 6 E Butler office. We have successfully moved all our equipment and files to our temporary location and are operating as efficiently as we were previously. We are still receiving US Mail at 6 E. Butler, but UPS/Fedex should be addressed to 31 E Butler Ave - Rear, Ambler, PA 19002. Feel free to call us if you have any questions or concerns. 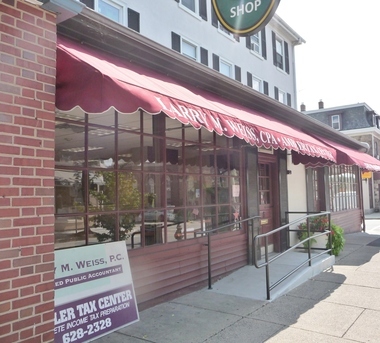 Larry Weiss, CPA & Ambler Tax Center is a full-service accounting firm serving clients throughout the Ambler area, dedicated to providing our clients with professional, personalized services and guidance in a wide range of financial and business needs. On this website, you will find information about Larry Weiss, CPA & Ambler Tax Center. We have also provided you with online resources to assist in the tax process and financial decision-making. These tools include downloadable tax forms and publications, financial calculators, news and links to other useful sites. Whether you are an individual or business in or around Ambler, Larry Weiss, CPA & Ambler Tax Center has years of valuable experience assisting professionals with their accounting needs. Located in Downtown Ambler, we are convenient to the areas of Blue Bell, Lower Gwynedd, Fort Washington, Horsham, Dresher and Maple Glen.